You'll go to our online store for 3ds Max. Don't worry—your card will not be charged for 30 days. 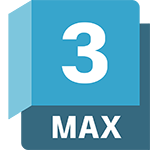 You have 30 days to use the fully licensed 3ds Max software. You can cancel anytime before your trial ends and pay nothing. * After 30 days, your credit card will be automatically charged $190 per month (SRP†) and you’ll continue to have access to your software. *Autodesk Account and credit card required. First month free. Your credit card will be automatically billed after the first month. You may cancel online through your Autodesk Account. Users who have already taken a trial are ineligible for this offer.